After finished up my teaching contract in Darwin I headed to Tasmania for a 17 day road trip. It was an absolutely stunning state and I met the kindest people, ate the most delicious local food (oysters, cheese, beer and wine, chocolate, salmon, beef…), and saw an abundance of animals. There are dozens of short hiking trails which I used as the foundation to plan my trip. I flew into Hobart and essentially made a big counter-clockwise circle, making my first major stop the Tasman Peninsula. 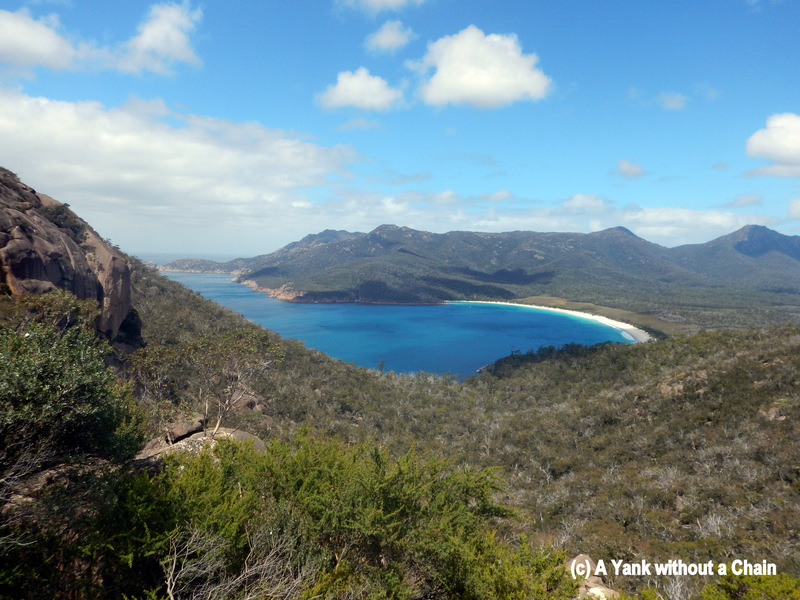 Most famous for Port Arthur (which I didn’t have time to see), the peninsula is also home to amazing cliffscapes and the postcard-worthy Wineglass Bay.